Despite their 8th place finish at the 2006 World Pair Championship, many pundits still believe that Russia's Yulia Obertas and Sergei Slavnov have the potential to become their country's next, great pair team (having the legendary Tamara Moskvina as a coach will inspire that kind of talk, no matter what the final placing). Although she is only 21 years old, Yulia is already a seasoned international competitor, having won the Junior World Championship twice by the age of 15 (representing the Ukraine). Dmitry Shkidchenko, coach of two time World Junior Pair Champions Yulia Obertas and Dmitry Palamarchuk, says of his team, "I think they can reach the top at Europeans, Worlds, Olympics. The most important thing is hard work. Though, that's not counting factors we can't control, such as that they might close our rink at any moment." Not that Palamarchuk, 19, would mind. He grouses, "Our conditions (at Dnipropetrovsk Rink) are horrible. The ice is choppy, and the roof leaks when it rains -- right onto the ice!" Nevertheless, except for July 1999, which they plan to spend in Simsbury, CT, Palamarchuk and Obertas, 15, for the fourth season in a row, will be clocking two and a half hours a day practicing there, getting ready for their first all-Senior season. 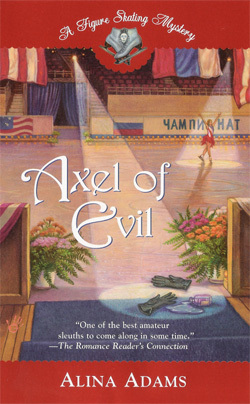 During the 1998-1999 season, the team, who competed both on the Junior Grand Prix circuit (which they won for the second year in a row) and at the 1999 Europeans (where they finished 6th) and Worlds (where they finished 11th), had four programs to rehearse, rather than the usual, two. Asked if they ever got confused in the middle of competition over which program they were supposed to be skating, Palamarchuk laughs, "Thank God, no." 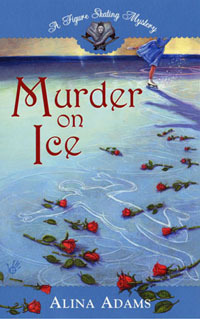 "On the Junior level," Obertas explains, "We skate like children. But, on the adult level there is more responsibility." Palamarchuk, however, thinks it's that childlike quality that helps them with the judges. 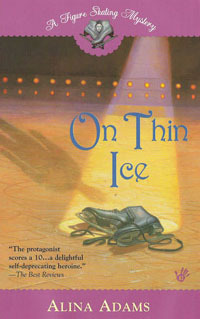 He muses, "What we have going for us, is our appeal on the ice. Our technical ability isn't higher, but, we do some of the same elements -- like our throws and lifts -- better, lighter, prettier. Most importantly, my partner has a cheerful, little girl quality that's very appealing." While that 'little girl' appeal brings to mind several past top pairs, Palamarchuk stresses that this team isn't interested in copying anyone else's style. "We want to go our own way." Chimes in coach Shkidchenko, "We can't call their style unique, it simply belongs to them, it's how they skate, it comes from nature. My job is to open them up. To make a diamond."